J. Jane Consulting | olympia dukakis. new york, new york. | wife. mother. actress. producer. writer. activist. 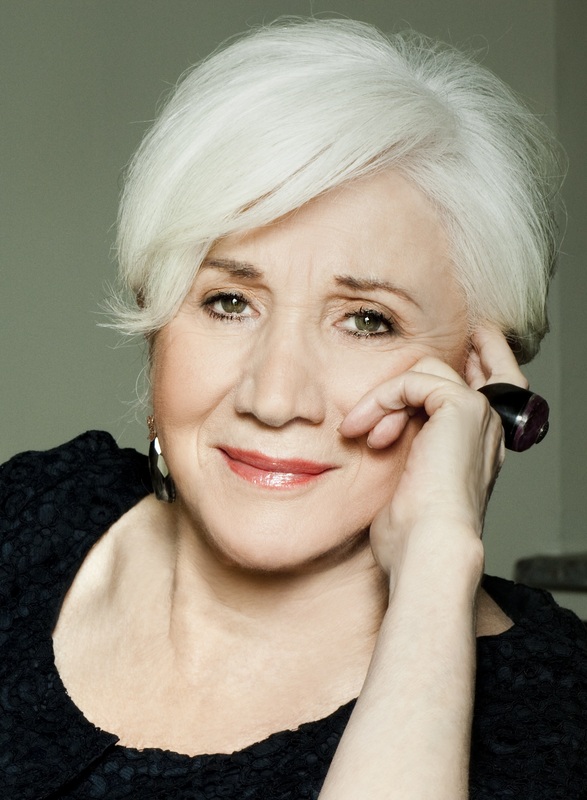 Olympia Dukakis is a trail blazer. This talented woman spent years on and off Broadway, operating her New Jersey theater company with her husband, and teaching theater at New York University—all before she became a household name at the age of 56. An age, many would agree, when most actresses throw in the towel due to a lack of roles in Hollywood. Ms. Dukakis has won numerous awards, including an Obie and a Golden Globe, but most notably, she is the recipient of the prestigious Oscar for her performance in the 1987 romantic comedy Moonstruck. In my humble opinion, her role in Steel Magnolias is what stands above the rest. Her brilliant humor has brought a recurring smile to my face since 1989. A family favorite, I watch it often, and laugh out loud when she hits the screen. The woman simply makes you want to sit on the front porch and sip a glass of sweet iced tea. And I don’t even like iced tea. Now, at the age of 84, Ms. Dukakis shows no signs of slowing down, making her awards pale in comparison to the energy she puts out into the world. Ms. Dukakis continues to be an activist for women, as well as a motivational speaker — paving a legacy that will live on forever. She remains committed to teaching the craft of acting in master classes in New York City and around the United States. I feel honored to share a few words of wisdom from a lady who has spent a lifetime breaking down barriers for future generations. In Steel Magnolias, you were part of a Hollywood cast of actresses that created arguably the single greatest movie about the special bonds between women. As a viewer, it appears that the relationships between all the women (Dolly Parton, Julia Roberts, Sally Field, Shirley Maclaine and Daryl Hannah) on screen were natural and effortless. What was it really like being on the set with so many talented women on one project? It was fascinating, interesting and fulfilling on many levels. It was also intimidating. All in all it was a terrific experience…one that I will not forget. You are the recipient of many awards, most notably an Oscar for your performance in Moonstruck. There has been much talk about the pay discrepancies between men and women in the film industry. What are your thoughts on the progress women have made in Hollywood over the past 30 years — financial and otherwise? How can women better position themselves professionally? Women’s progress and such is really disappointing. Women can better position themselves… get really good at what you do and then insist that it be acknowledged financially. Bonnie Low-Kramen attributes much of her success to you serving as a role model and mentor. Who was your greatest influence? My greatest influences: My mother – she always knew it was a fight; my father – he knew that one needed to posses patience; And Peter Kass – my acting teacher who understood acting to be a lifelong search. Can women use our femininity to our advantage that a man cannot? In other words, does a feminist need to downplay her femininity? If you evaluate a situation and realize that you need to downplay femininity then do it. If you need to upgrade it, then do it! At the end of the day, WIN! No matter who you are, life offers personal and professional challenges. From the outside looking in, you seem to possess a poise and grace for which many women strive. What is your best advice for living a life filled with purpose and grace? Can you imagine having Olympia Dukakis as a mentor? She has worked as an actress, director, producer, teacher, and activist. She seems to have done and seen it all! Olympia resides in New York City with her husband, actor Louis Zorich. They have three children, Christina, Peter, and Stefan, and two granddaughters, Isabella and Sofia. And as if she has not accomplished enough, Ms. Dukakis is also the author of her memoir Ask Me Again Tomorrow: A Life in Progress.